Homicide-Suicide in Virginia 2006-2010: Who is at risk? The Office of the Cheif Medical Examiner released a new report in June, 2013, titled Homicide-Suicide in Virginia 2006-2010: Who is at risk? This report utilizes 2006 to 2010 data from the Family and Intimate Partner Homicide Surveillance Project to answer these questions: who is most at risk for domestic violence related homicide-suicide; and, what relationship characteristics create the most danger for homicide-suicide? This and other reports from the Family and Intimate Partner Homicide Surveillance Project can be found here. The Office of the Chief Medical Examiner in the Virginia Department of Health has issued two new reports from the Virginia Violent Death Reporting System: Homicide Across the Life Course and Homelessness and Violent Death. Homicide Across the Life Course examines homicides from two viewpoints. First, a longitudinal perspective describes changing homicide rates from 2003-2011. Second, a life course perspective examines how homicide looks for different age groups and how homicide risk changes as we age. 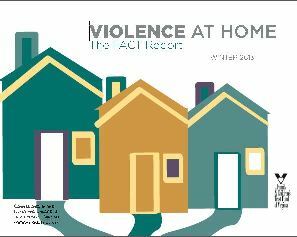 This report identifies populations who are more at risk than others, and documents regions of Virginia and circumstances surrounding homicide that can assist in developing targeted responses and interventions to reduce homicide and support healthier communities in the Commonwealth. Homelessness and Violent Death examines violent death, particularly homicides and suicides, among people who were homeless at the time of death. Violence prevention is a challenge for any population, but it may be especially so for homeless persons whose daily life and poor access to fundamental resources such as housing, safety, food, and health care creates the opportunity and conditions for violence. Their vulnerable status is exacerbated by substance abuse problems and mental health conditions, which may not be addressed in any meaningful way because they are homeless. As of July 1, 2015, Virginia law supports the formation of local and regional Adult Fatality Review Teams (AFRTs) to identify and review deaths involving abuse, neglect and exploitation of incapacitated and older adults in the Commonwealth. Resources to assist communities in forming AFRTs can be found here. capacity of the community to respond to family violence.